When customers visit your landscape yard they want to be wowed. If you are the experts in your field it stands to reason that your grounds would be well maintained. But as most trades people know, you work hard to perfect your client’s project whilst your premises suffer. Give a great first impression. If you have large tree on your grounds, with Oasis Tree Management’s tree services, we will ensure that all your tree pruning is done beautifully and any tree removal that is required is taken care of, keeping your grounds pristine. Are you a landscaper that’s losing projects because you can’t provide tree removal and general tree services? Do you have a landscape project but you can’t take it because it involves tree removal services? Don’t miss out on a tender again, partner with Oasis Tree Management and provide the full package to your clients. When you have a project that requires the assistance of an expert arborist, we can assist you with all your tree removal, tree pruning, stump grinding and general tree service’s needs. We can supply your landscape supply yards with premium mulching. When your clients are looking for something extra special to spruce up their outdoor area, they won’t be disappointed with our top-quality mulching. Whether you use our mulching for your projects to add those finishing touches to your work, or you sell it as landscape supplies, you can be assured you are providing only the best. Why mulching is great for your clients? Mulching can add some much-needed nutrients to the soil, promoting a healthy garden. In Brisbane’s sub-tropical climate, it can assist with retaining moisture in the soil. Mulching helps prevent weeds, keeping your garden looking better for longer. Mulching can assist with the health of your trees, saving you money on tree removal in the long-run. 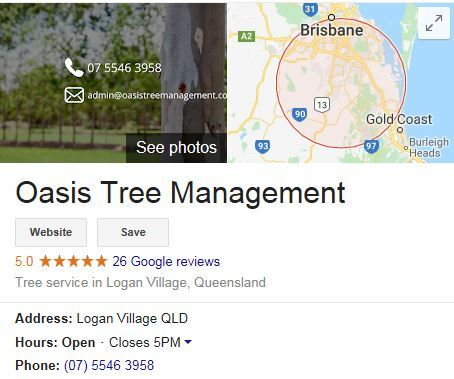 If you need mulch for your landscape supplies business or you need to partner with a reliable arborist that can assist you with those projects that include tree removal, tree pruning and other tree services, why not talk to Oasis Tree Management today. We are passionate about what we do and it shows in the high standard of our work.